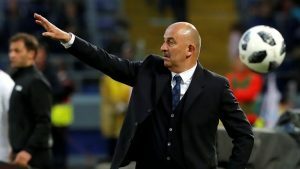 Russia were denied a win yet again much to the disappointment of the FIFA World Cup 2018 hosts. The Russians were in the lead in the first half, courtesy of Samedov’s excellent goal at the 35th minute. However, it was in the 2nd half that Turkey’s Malli struck at the 59th minute to level the scoreboard. The match came to a draw and the current form of Russian players isn’t looking good before the upcoming FIFA World Cup 2018. 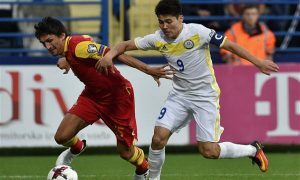 It was comprehensive victory for Kazakhstan over Azerbaijan by a margin of 3 goals. The lead was taken by Kazakhstan in the first half as 2 goals were netted a minute apart from each other. After the 1st half the scores were 2 – 0 with Kazakhstan in the lead. Azerbaijan managed to keep their opponents at bay in the 2nd half however, Baktiyor scored in the dying moments of the match. With this goal, Kazakhstan sealed their victory and won the match by 3 – 0. Romania managed to take the lead in the 1st half of the match when Cristian Manea netted the ball at the 37th minute to put them in the lead. Despite trying Finland couldn’t score a goal to level the scoreboard as the 1st half came to an end with Romania in the lead. The 2nd half started and after some time Romania increased their lead and it was Ciprian Deac who scored the goal at the 61th minute to make it 2 – 0. Finland did not manage to score a single goal till the end of the match as it ended with Romania winning the match.